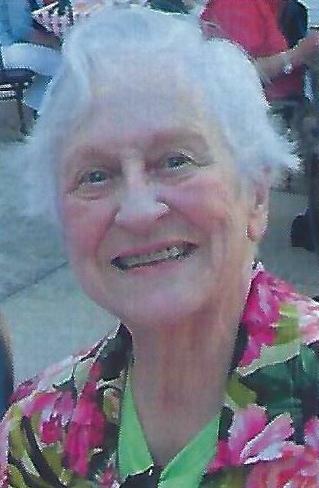 Sue L. Clinton of Portland, Maine passed away peacefully on November 3, 2018 surrounded by her daughters after succumbing to a fast moving bout of cancer just shy of her 83rd birthday. Sue was born in St. Joseph, Missouri and attended the University of Oklahoma where she earned a Bachelor of Arts in English with a minor in music and met her husband John (Jack), a native New Englander. Sue’s background in music and singing yielded an early successful career performing radio commercials and recording a record after winning a singing competition. Jack and Sue, with their three daughters, located to Cumberland, running a successful Portland business and then moved to Camden, purchasing the former J.C. Curtis Hardware Store. Sue created a thriving wallpaper and interior decorating niche along the mid-coast and decorated many seacoast homes. While in Camden, she pursued her passion for singing and traveled around the world with the Surry Opera Company in the position of Soprano. The warmer weather called her to Arizona, where she resided for several years singing and continuing her decorating talents, but Maine pulled her back. Sue was a resident of The Atrium at the Cedars in Portland for several years where she met many good friends and reconnected with past friends. Sue is survived by her sister, Dian Langdon of California; her daughters, Kelley Clinton Race of Edgecomb, Maine, Megan Clinton Tomlins of Tulsa, Oklahoma, and Tracy Clinton Warriner of Walnut Creek, California; son-in-Laws, Charles Race, Neal Tomlins and Michael Warriner; and grandchildren Lindsay Race, Danielle Race, Paige Tomlins Vincent, and Chase Tomlins.